Sold individually. 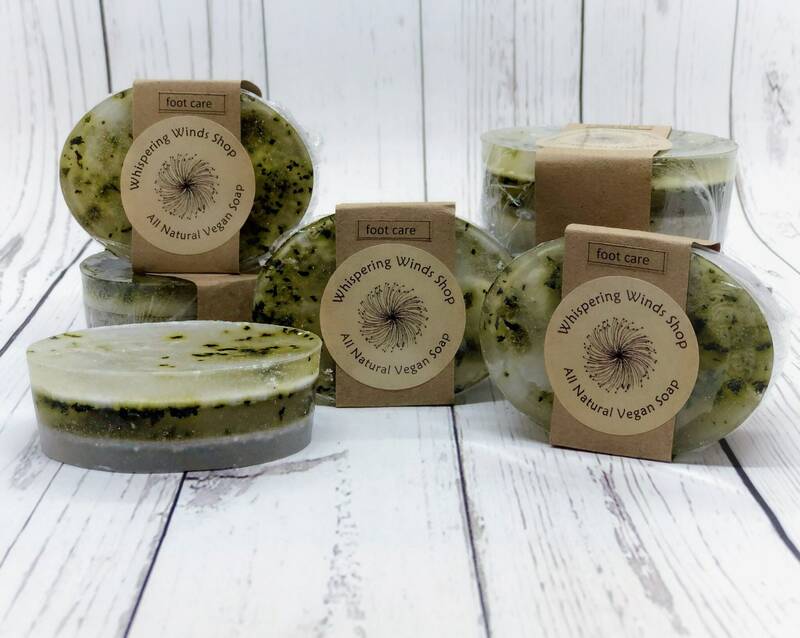 Organic and handmade vegan foot soap made with therapeutic grade essential oils of tea tree and peppermint, pure natural Dead Sea Salt, pumice, organic mint leaves, and avocado oil. 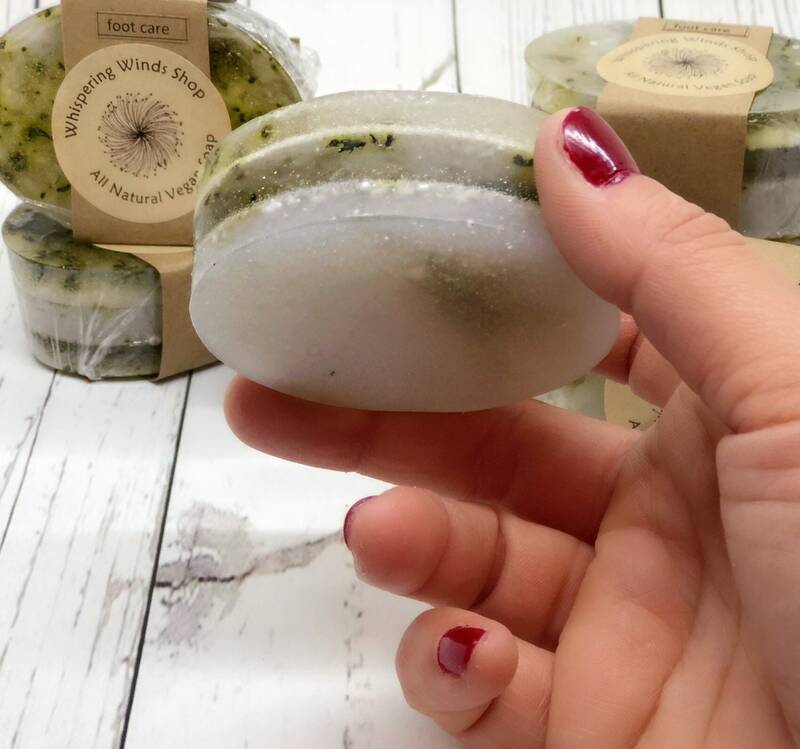 This soap is great for exfoliating dry tired feet and gives a soothing moisture back to the skin for healthy healing. 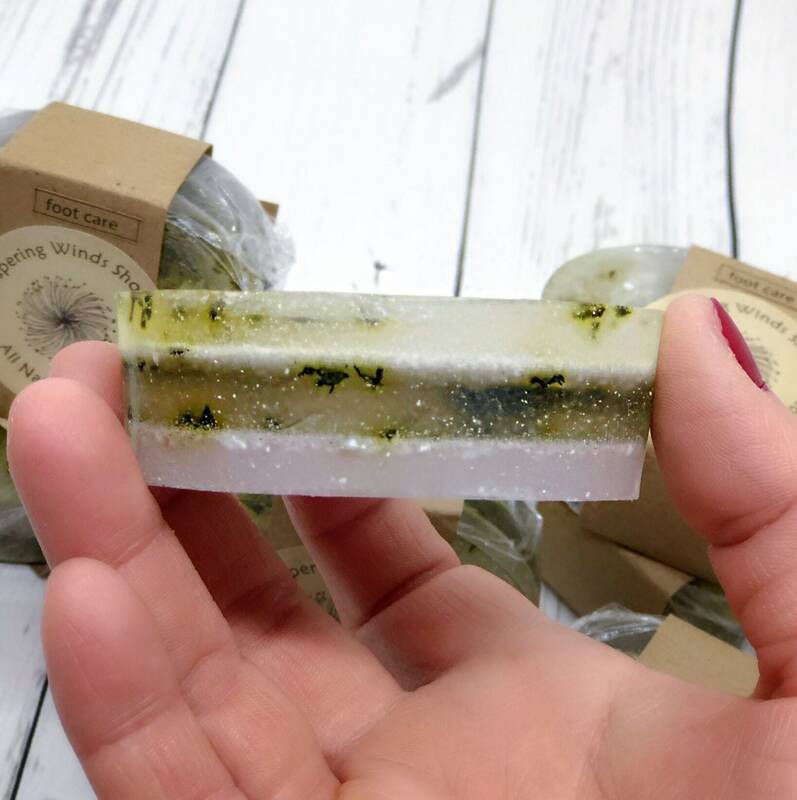 Each bar of soap is 3.2oz.